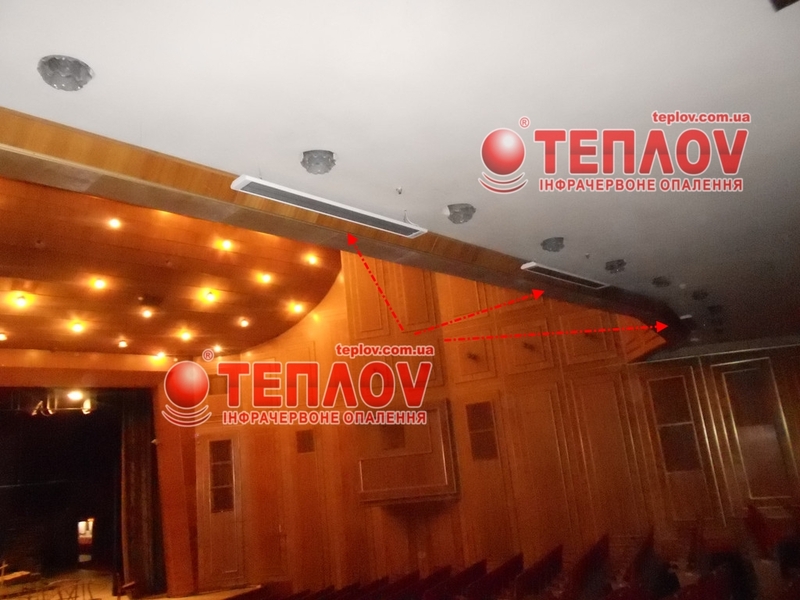 Economical heating of the theater. Heating of large public and industrial buildings (heating of the theater, railway station, plant) has always been a pretty tough question. Often, in order to upgrade the existing system of convective heating or even install a completely new one, separate premises at the enterprises or organizations used to close one after one due to the large-scale construction work. But now downtimes can go to the past together with many other risks that occur during the dismantling of the old convection heating system or its partial renovation. 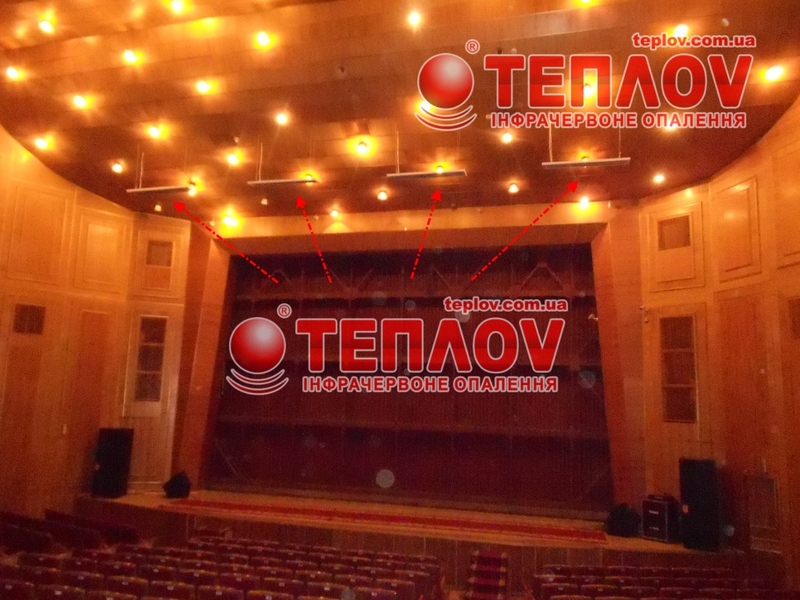 Company Vomos - regional representative of TM Teplov -has proven that it is possible to quickly create a cheap system of economical heating of the theater. 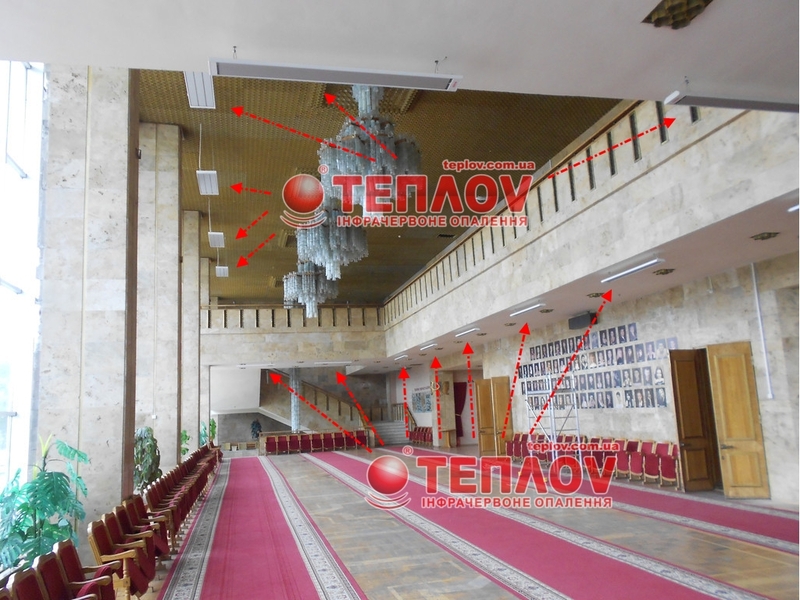 Now the lobby and a large auditorium in M. Starytsky regional musical drama theater in Khmelnytskyi are heated by the infrared heaters TM Teplov, which provide natural and soft heat which is absolutely harmless to the people and the environment. Heating theaters using infrared heaters is a fast and reliable way to build a cost-effective heating system in just a few hours. Nowadays, only infrared heaters can combine such a high level of efficiency with a simple and quick installation process. The level of the efficiency is that high due to the unique operating principle according to which infrared rays directly "penetrate" into all the objects, surfaces and immediately give them their heat. Thus, you do not have to wait for the whole air mass to heat up the room to feel the result of the heating system. Within a few minutes after starting the infrared heating system you will feel warmer and more comfortable in any room of absolutely any size. 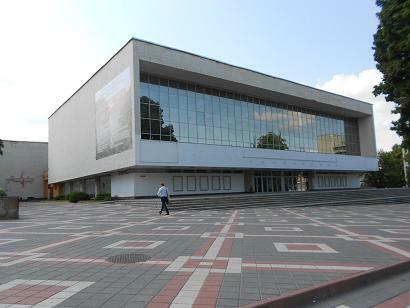 Of course, to ensure cost-effective heating of the theater, it is necessary to do the thermotechnical calculations before installation, which will make the heating system unique, flexible and suitable for your premise. Heating theater using infrared heaters do not require any delays or postponements of the events, concerts, shows because of the installation of the system. The great advantage of infrared heaters is that they are easy to install on any surface that is more or less suitable for this (ceiling, walls) and does not ruin the interior. 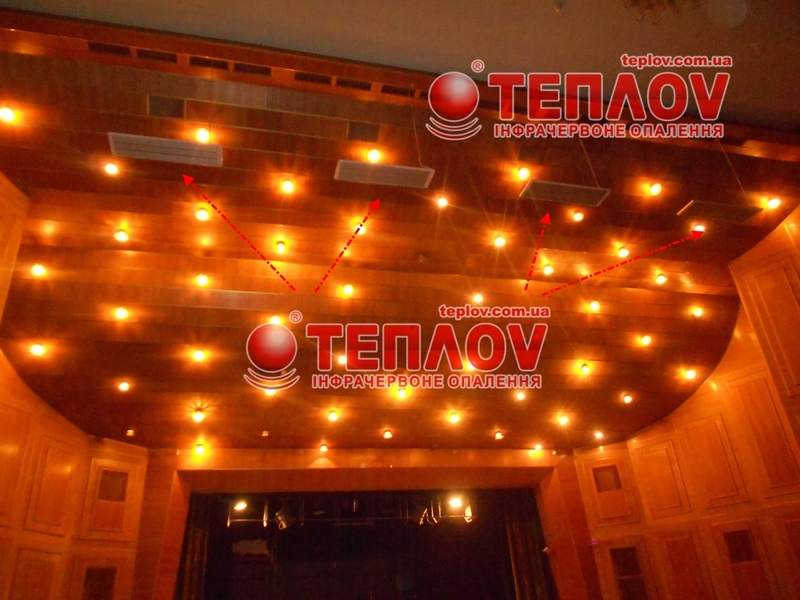 So, festive decorations of the concert halls will not need any repair after the installation of infrared system for economical heating of the theater. Talking about the installed equipment, for heating of the auditorium and lobby we have used 9 P3000 heaters, 4 P2000 heaters and 16 B1350 heaters. 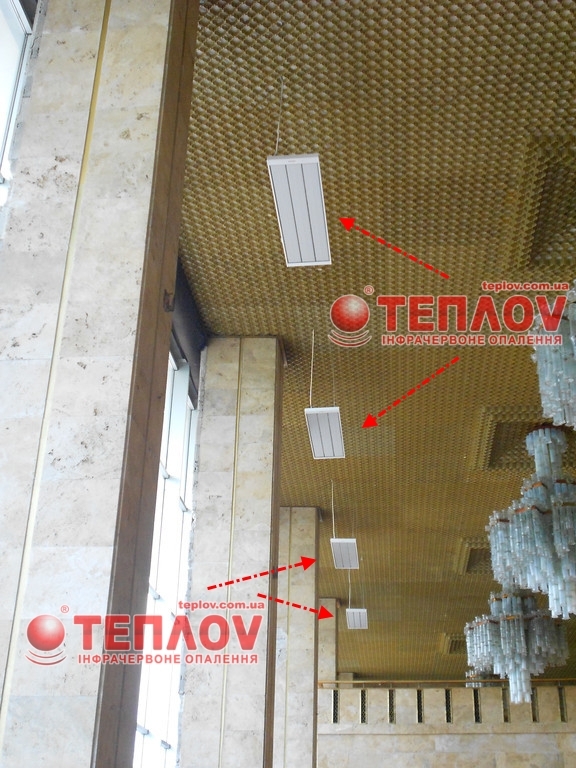 Thermal power of the infrared heaters Teplov is 55.8 kW. Electric energy consumption is 19 kW / hour.